If you’ve been following me on my Instagram account, you’ll know that I recently visited Scandinavia. But it wasn’t too long ago that I took food photos with an actual legit film camera. Young’uns not familiar with film photos won’t know what it’s like dropping off a roll of film to be processed, waiting for a few days or if you’re willing to spend the extra bucks to have it done within the hour, the anticipation of receiving the printed photos and disappointment at the photos that were out of focus or just didn’t turn out. 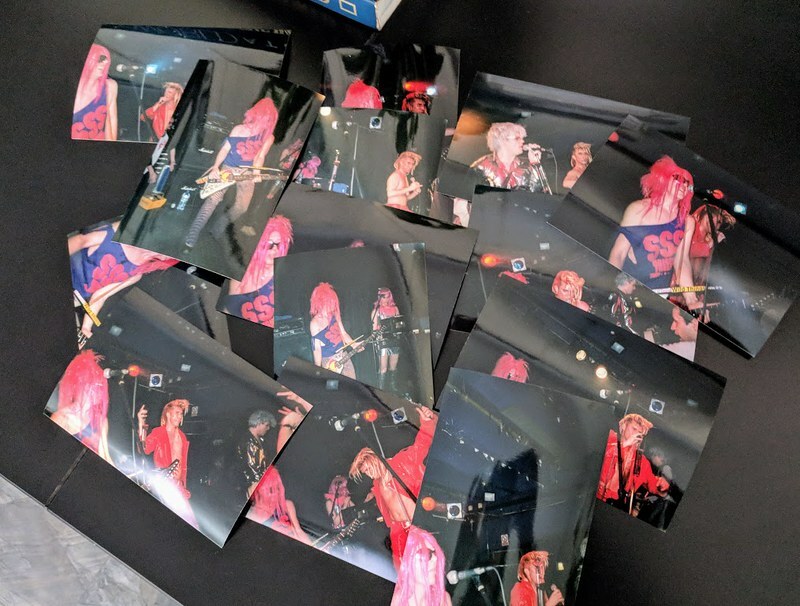 It’s so easy nowadays with digital photos: you can take multiple photos, view them on your digital camera/smart phone, edit them on the fly and delete the bad ones. Flashback way back to 2002 to my first European trip with then-boyfriend Paul. We studied up on all the places to visit in Amsterdam, Berlin and London. Along with all the sights, I was especially was interested in the foods to eat in each one of the places we planned to visit. What better way to acknowledge and remember all the good things than with a photo? 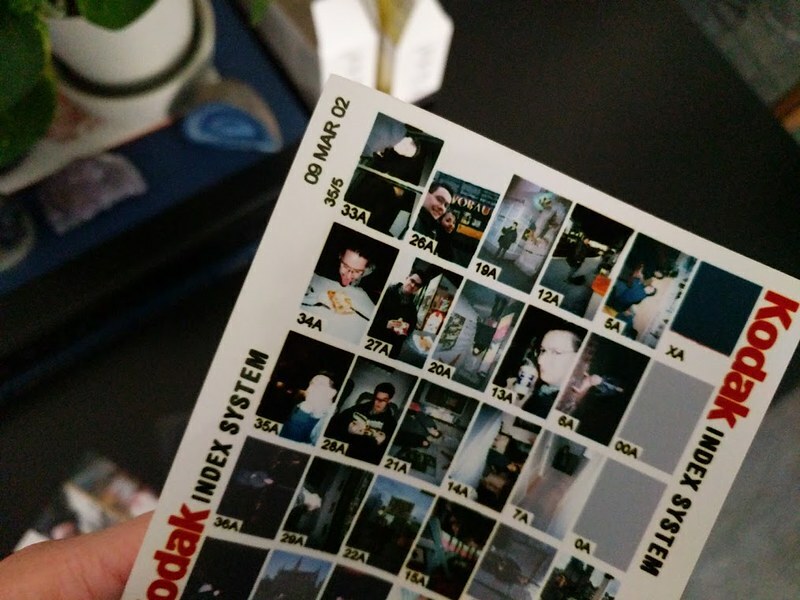 It was the last trip we documented our adventures before buying a digital camera. I recently searched for the photos from that trip. 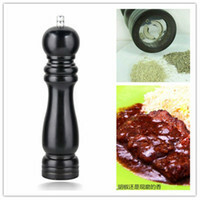 As a budding food photographer, many of the food photos featured Paul. Here’s what I found. 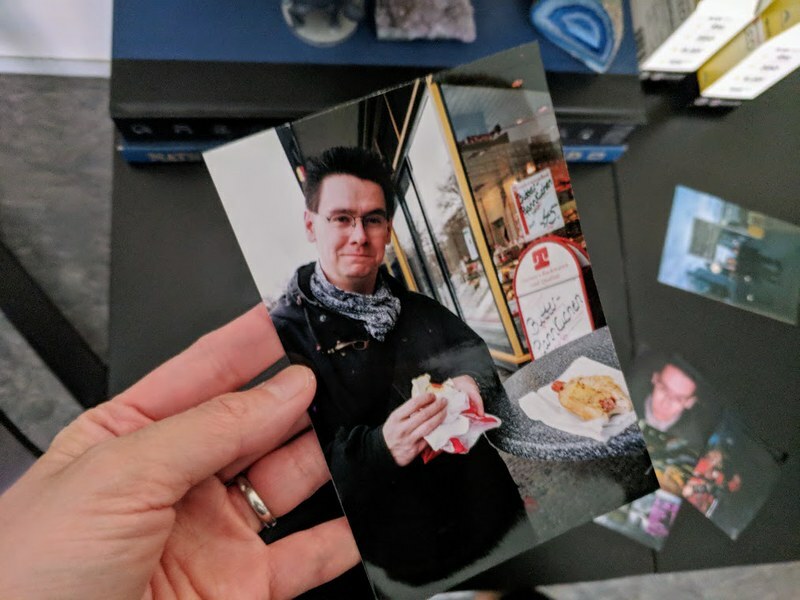 The biggest joke we have to this day is that everything we ate in Berlin was underground including some amazing fish sandwiches (no photo, unfortunately). The exception was near the Central train station where we managed to grab a sandwich and sausage before we left for Belgium. Belgian waffles were high on my hit list for this trip and I spied a few carts selling it in every country we visited. 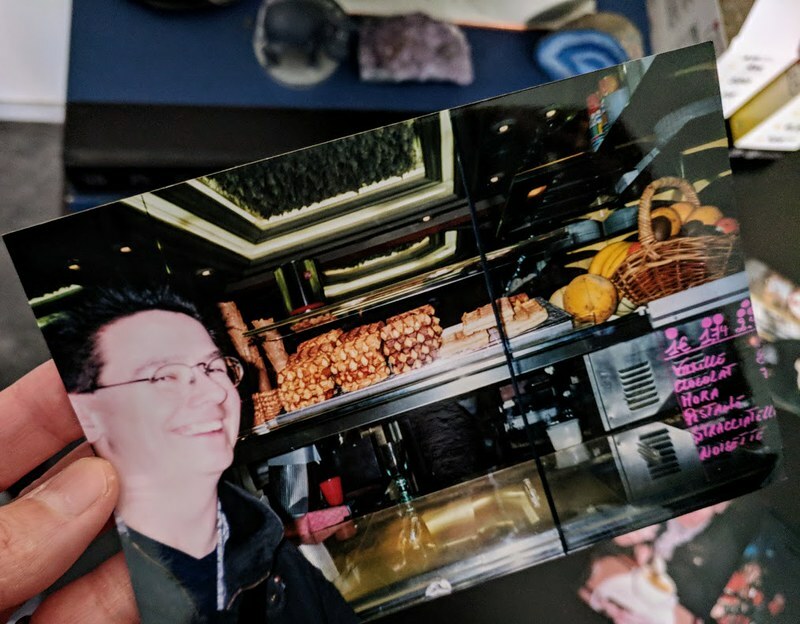 My anticipation hit a peak in Brussels where I made Paul stand in front a waffle cart before we caught the train to Luxembourg. This is photo proof of overuse of a flash and where everything was a bit fuzzy. Luxembourg was kind of a throwaway trip. We bought a train pass that allowed us to travel to different countries so why not tack on another country? Little did we know that trains didn’t run 24 hours and as we were rushing to make it back to Amsterdam for an early morning flight to England, we grabbed a sandwich and hot dog salad. 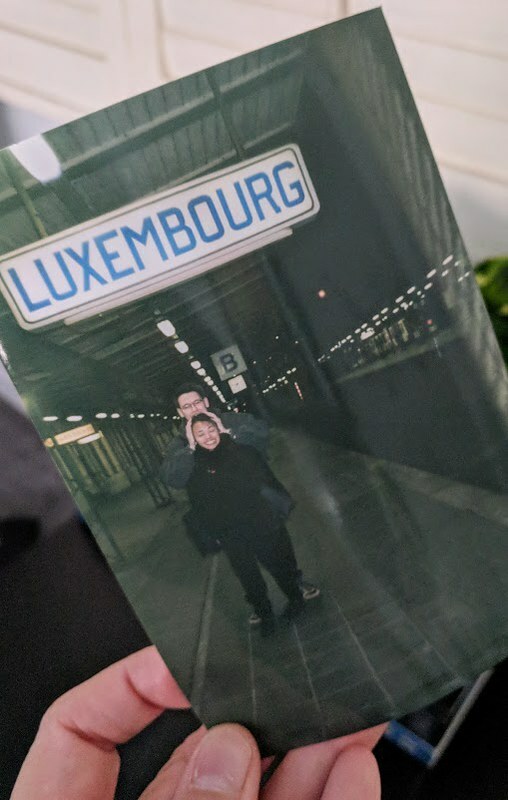 Unfortunately the photo of the salad is another sad victim of being lost; instead here’s an blurry photo of us at the Luxembourg station before we had to hightail it north. 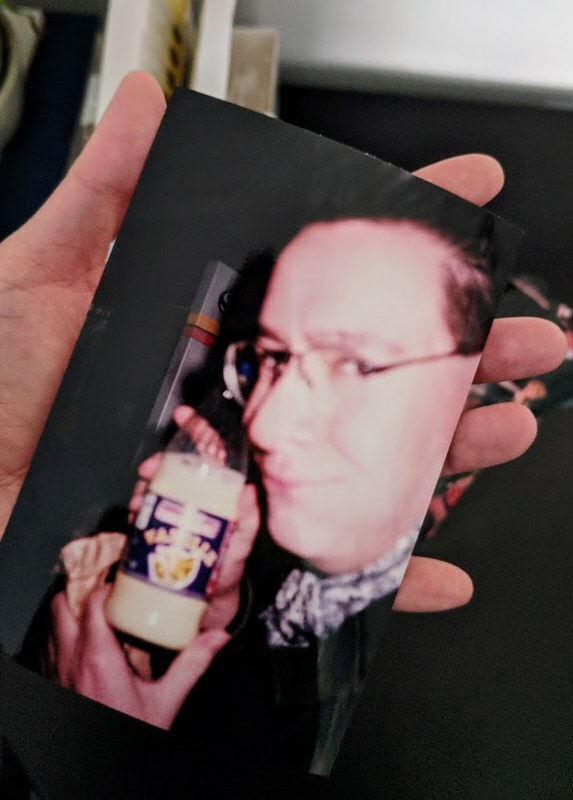 Possibly the worst photo from the trip is this one of Paul with what I assume is a memorable drink. Everything is blurry in this photo. Japan followed two years later and the cost of owning a digital camera decreased dramatically. 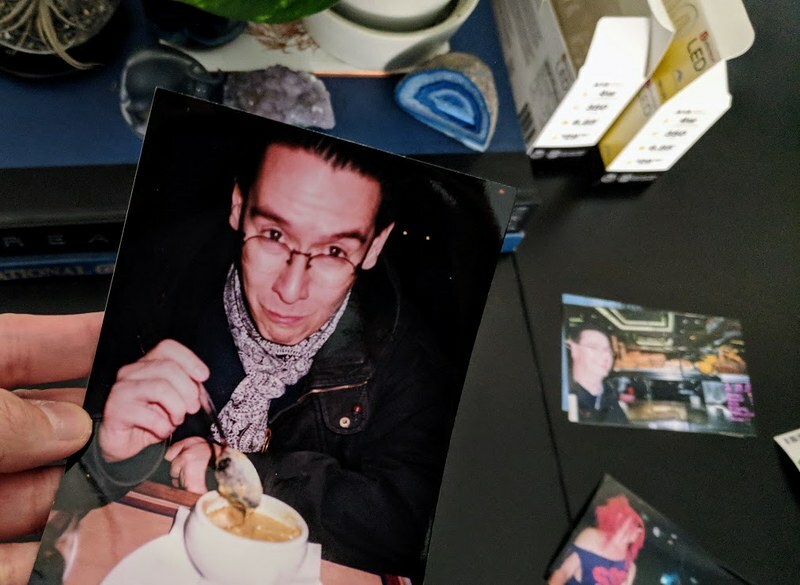 We still printed out all our photos and it wasn’t until a return trip to Japan and for this most recent European we exclusively used the camera on our smart phones and occasionally posted to social media. After all, if you don’t post to Instagram/Facebook, etc., did it even happen? ?